So I wasn't sure I was going to write anything today but figured what the heck. There are a few reasons to do so and one of them is this. 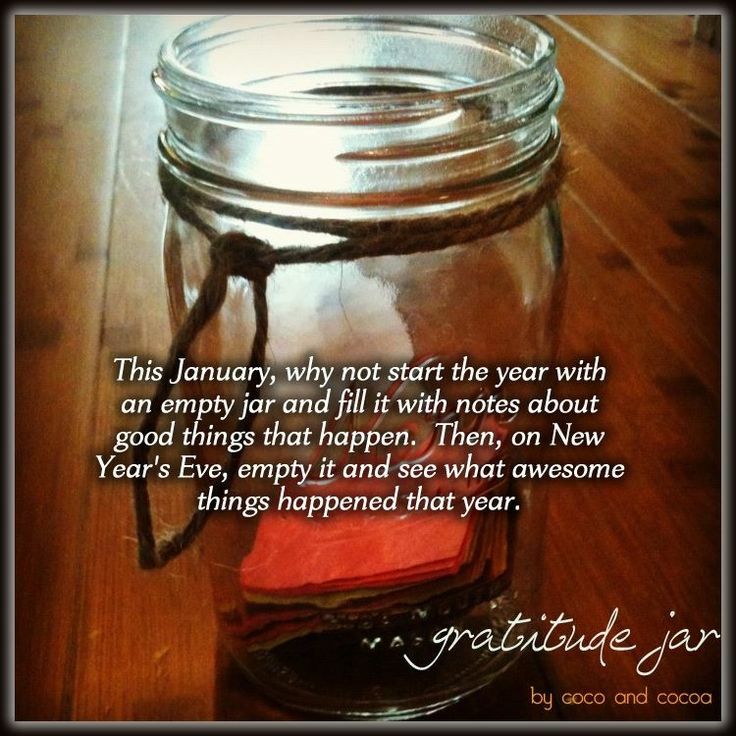 I started a happy thoughts/good events jar at the beginning of the year. While I wasn't always great about keeping it up to date when something new happened but when I sat down today I hit 72 separate events that made the year worthwhile. That surprised me to say the least but it also means I was doing more of what I hoped to be doing in that I was actually looking at the good things and not getting mired down in the bad things. Being totally honest and transparent, there were some less than happy moments throughout the year but as of this moment I can say without a doubt that the good far outweighed the bad. If you want to join in on for it next year just follow the instructions on the photo below. As for my hair and health journeys, that has gone well despite some setbacks. Like many a human I started 2013 with the goal of getting healthy and shedding 40 pounds. Well then I lost my job, was horribly stressed, found a new job and then finally moved. Let's just say my weight was all over the flipping place and I do believe before I started working out that I had gained about 10 pounds from all of the inactivity and funk I allowed myself to get mired in. Thanks to my willingness to step beyond my comfort zone this year I entered every contest I could get my hands on and won two of them. I have a beautiful necklace to show for one win and the photo I shared yesterday to show for the second. Now that win didn't cover the whole shoot but it got me up and active and it got me interested in other new things. Like makeup and vintage hair styling because she created a look I didn't think I had enough hair to pull off but hey joke was on me. After hitting shoulder length, the aforementioned stress and bad self care did a number on my hair. When I finally found a hair dresser here she whacked off at least 3 inches and left me somewhat devastated. My hair felt better but all that time and energy to just see it gone was heartbreaking. However, being back on my hustle with the hair care and self care and surprisingly all the sweating made my hair rebound in a great way. When I went to a new stylist, who had my old relaxer (thank you Affirm), my hair was feeling great again and most importantly I had retained quite a bit of length. I'm eating better, trying to sleep better, getting to the gym at least twice a week as much as I can and shooting for three or four when I can pull that off. And like I mentioned yesterday I am continuing to add to that which by default will benefit both my heath and hair. The swimming is good exercise and the resulting chlorine impact will make sure I tend to my hair as much as I can on Saturday mornings. I invested in the kit below when I was still visiting because it was used on me during the photo shoot. I showed you some photos during the update post before I left but I will have to get used to applying it myself. I grabbed a foundation brush at Ulta when I got back along with Fuzz Off. Yeah the Nair was just laughing at me and I can't let the hair get long enough to wax because the moment I feel hair along my chin line it drives me nuts. So I will try Fuzz Off before I have to find a home electrolysis kit and zap those little irritations into dust. I am also working on new protective styles for the new year. Flexi sets are fine for a while but not the be all end all once my hair hits a certain point. I'm also trying to do the braid thing if I can find someone to make it look professional for me. I still have the day job lol. And something else odd happened while I was gone. I nearly completely abandoned my comb. I really didn't have time to do much with my hair because my nieces were loving on them some Auntie. So I would comb my hair into a wrap with my fingers and tie it down and they were normally clamoring to pull it down for me in the morning so I would let them. Well anyway I think that's the high and lows for my year in brief. Let's see what 2014 has in store! Happy New Year to you and yours. Happy new year to you too Southern Girl! I am so bad about missing posts lately. I hope your year is going well.